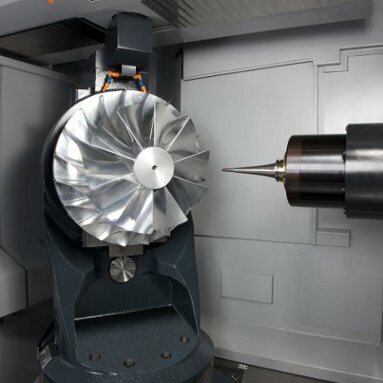 As aerospace manufacturing continues to ramp up in North America, the a61nx-5E offers a unique and appropriately sized design for small components, featuring 3-D contours without compromising the highly productive spindle performance and 5-axis capabilities of larger aerospace machines. Makino’s new horizontal machining center is built specifically for high-efficiency aluminum machining of small to mid-size, complex five-axis components and monolithic aerospace parts. It features the same robust design and reliability of the smaller nx-Series machines, but with the added speed and performance of the larger MAG-Series machines—allowing manufacturers to “right size” their part production. 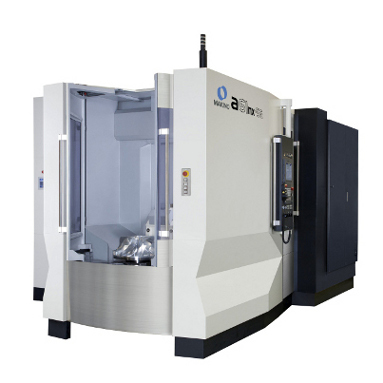 What differentiates the a61nx-5E from other similar 5-axis horizontal platforms is the advanced twin-direct-drive rotary table design, the availability of a high-power 24,000-rpm spindle, and an innovative pallet-change system. Like the original a61nx, the a61nx-5E provides enhanced rigidity through a three-point casting structure. It has X-, Y- and Z-axis travels of 730 mm (28.7 inches), 730 mm and 680 mm (26.8 inches). Linear acceleration is 1G on the X- and Y-axes, and 0.8 in the Z-axis. 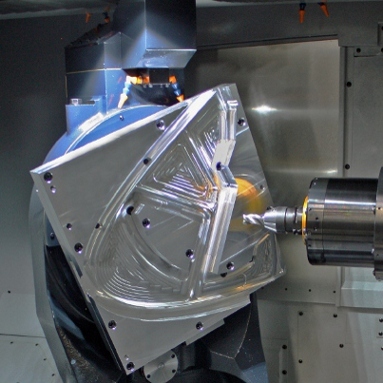 The direct-drive rotary table on the a61nx-5E offers improved access on all sides of the part, especially when using shorter tools—allowing improved performance and reliability. An innovative thermal management system displaces heat from the table for improved speed and positioning accuracy. The a61nx-5E also uses the same proven 60-tool magazine as the nx-Series of machines, with options for additional (133-, 218-, 313-) tool magazines. The machine is equipped with a standard 14,000-rpm spindle with 240 Nm of duty-rated torque and 30 kW of continuous output. This configuration is ideal for the premium job shop needing a 5-axis platform to machine a wide variety of materials. 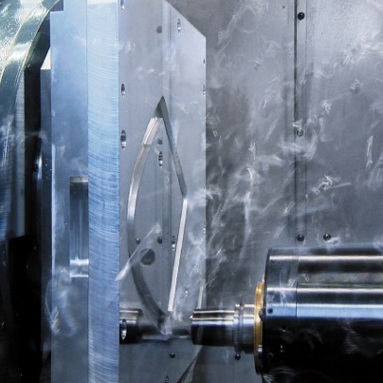 Other spindle configurations include an optional high-torque version, ideal for titanium applications, and a 20,000-rpm spindle for those manufacturers that need slightly more speed. The a61nx-5E has the option for the new 24,000-rpm high-volume core-cooled spindle for those companies doing high-performance, high-volume aluminum machining. The spindle has 62.6 Nm of duty-rated torque and 80 kW of continuous output—delivering four to five times more metal removal per minute than typical high-speed spindles, and offering superior finishing feed rates. In fact, the highly productive solution can provide up to 310 cubic inches of metal removal per minute. 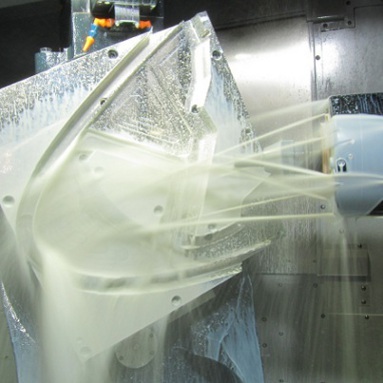 This high-speed spindle brings the aluminum structural, roughing and finishing capabilities that are typically associated with a much larger MAG machine into a smaller platform, enabling cycle time reductions of 45 to 50 percent in complex parts. 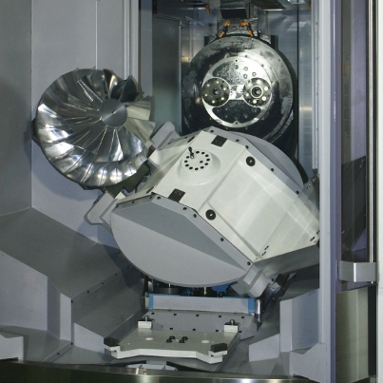 The pallet changer found on the a61nx-5E directly loads the pallet into the 5th axis rotary table. It eliminates material-handling challenges by enabling operator-friendly part loading and unloading via the 45-degree pivot point that transfers pallets from a vertical to horizontal orientation. The loading height is an ergonomically-friendly 32 inches off of the floor with a flat surface, improving safety at the loading station. Workpiece limitations are a generous 600 mm (23.62 inches) by 385 mm (15.15 inches), allowing easy crane clearance through the doors. For those customers wishing to add automation to their 5-axis machining, this unique pallet-change system is fully compatible with the Makino MMC-R robotic fixture plate distribution system.